What can I say? I grew up with that anime. I love love loved it and even now when I feel reminiscent I just go and pick up an old Cardcaptor Sakura manga. (Funny story, my brother’s actually watching it right now.) Sakura was so cute and I loved her when I was a kid, and I adored seeing her again in Tsubasa: Reservoir Chronicles. (Another great animanga! I heard it ended recently.) The idea of the cards was just so intriguing to me, and it’s still very creative. I love the idea and concept, and I’ll always hail Cardcaptors as one of my vintage animes. I have often expressed distaste for Naruto, but I will always continue to love Shikamaru. Another boy genius character, his IQ is ridiculously high and he’s a really really lazy ninja. Isn’t that some sort of oxymoron? I was so happy when I saw him again in Shippuden all grown up, and the scene with Asuma in the manga made me cry. He’s a well-developed and somehow heartwarming character, even if he spits out insults and sardonic remarks half the time. He always seems sort of rough, but in those little moments, it’s easy to see he cares about his friends and those close to him. Always going to be a favorite~! Lelouch is a psychotic freak, Suzaku is an I-don’t-even-know-what, and the rest of the characters don’t even matter. 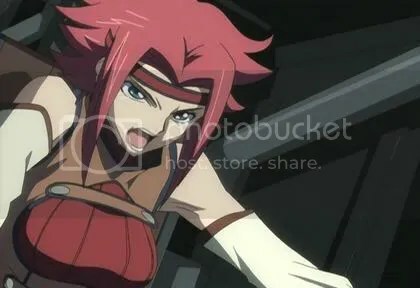 THEN COMES KALLEN! Blazing gunfire and totally freaking amazing, I. Love. Kallen. She’s one of my favorite important girl characters because…you know what? She’s a tomboy and not afraid to show it. She’s a fighter and a proud Eleven at that, she controls one of the most influential Knightmare Frames in the series, and she is pure incarnated awesome. She beats up Suzaku. ‘Nuff said. Winry. Oh lord. She’s a wrench-wielding mechanic that has heart and soul and attitude. Without her, half the humor and emotion of the entire series would be gone. She is a motivator for Edward. She is *ahem* the main love interest. Having lost her parents and grown up with Edward and Alphonse, she’s known them since early childhood and has supported them throughout their whole quest: She was one of the two that attached Edward’s signature automail. She’s a mechanic freak and a violent girl but she without a doubt is one of my top favorites. Go Winry! ALFRED! ALFRED! HOW I LOVE YOU! Alfred appears in a lot of comic strips/a ton of episodes, and even if he’s always slurping on soda and eating burgers and can’t read a map to save his life (*holds up map of US* “SO WHERE’S JAPAN? 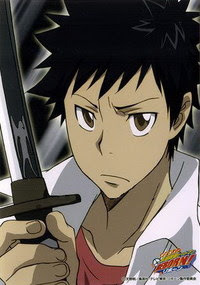 >:D”) he’s adorable and funny and a Hero. 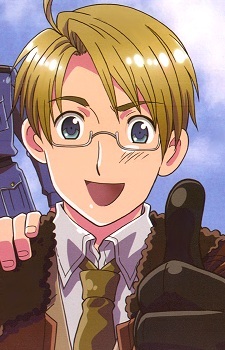 I’m not particularly patriotic, but Alfred makes me laugh so hard whenever he appears with his loud voice, and he’s among my top top favorites in Hetalia itself. He’s consistently annoying, but he’s ridiculously endearing and that’s just what makes him such an unforgettable character. And he can sing too! x3 Not really…but he’s so cute when he tries. I cannot finish this without mentioning Lal. LAL, YOU ARE MY HERO. She’s strong, for one, though she’s a bit useless in the future arc. Her relationship with Colonello makes me cry sometimes- it’s a heartbreaking one. She’s a great fighter, she looks amazing, and she’s…gah! She was even the original Rain Arcobaleno! Who else would outright attack to attempt to kill the Juudaime as a test upon arrival in the TYL!Verse? Who else would beat him up on a near daily basis? Lal has guts and a spartan attitude, which is exactly what I adore her for. And like I said before…like most characters, she can sing! 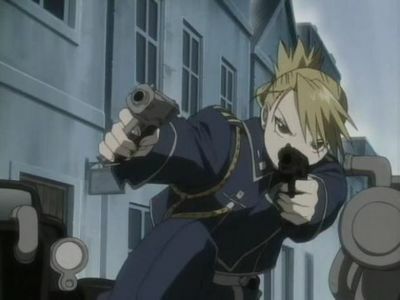 No matter what happens, Riza will always be my favorite anime character of all time. In other animes, the female characters get thrown to the side. They’re not important. They can’t fight. If they do, even if they’re strong, they get the crap beaten out of them for angst. Not Riza. She’s a trigger-happy, gun-toting scariest military woman alive and she is fantastic. Her scenes are powerful, her lines are brilliantly sarcastic. Men FEAR HER. She’s strong and amazing and she is always going to be my hero <3. Also, to get with the program, I’ve included a special link to the preview of the soon to come out Hetalia Song. Santa Claus is coming to town. I mean, seriously, have you been to the mall lately? It’s Christmas already! I mean..Pfft, obviously. >____> If you don’t get it…don’t worry. I definitely don’t either. P.S. What are your favorites? Comment below! This entry was posted on Monday, November 23rd, 2009 at 4:23 pm and is filed under Anime Club, manga, Opinions. You can follow any responses to this entry through the RSS 2.0 feed. You can leave a response, or trackback from your own site. 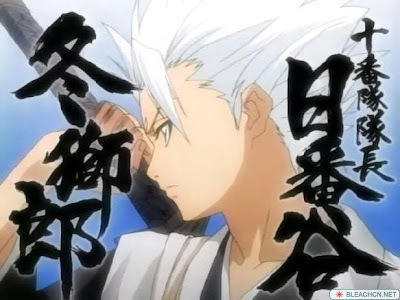 fascinating stuff, so far my favorite is Kayuzo from Samurai Seven, he’s strong, silent, and has a cool hair.